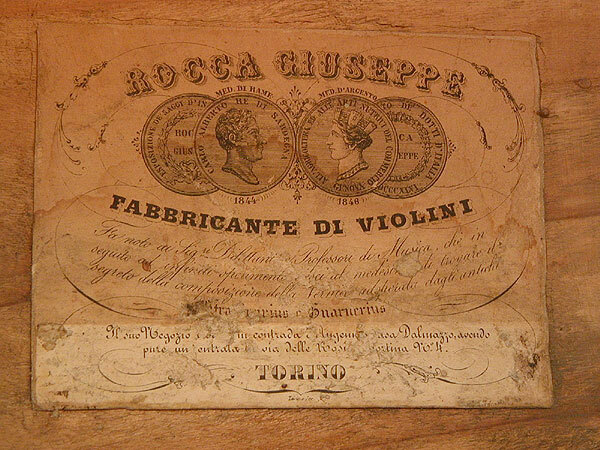 Giuseppe Rocca was born in 1807 in Barbaresco, Italy, later meeting Pressenda in that city. He worked with Pressenda in Turin between 1820 and c.1835, but began working independently after 1850. He moved to Genoa in 1854 and later died there in 1865. 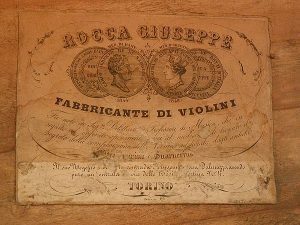 He was inspired by the “Alard” Guarneri del Gesu of 1742 and the “Messiah” Stradivari of 1716, making many instruments based on these patterns.